KCNA: "Since we know too well that the deep-rooted hostility between the DPRK and the U.S. cannot be redressed overnight, we have been proposingrelations be improved on a step-by-step approach of resolving what is feasible one by one, by giving priority to confidence building." KCNA: "I cannot help but throw doubt on the ulterior motive of the State Department." KCNA: "President Trump avails himself of every possible occasion to state his willingness to improve DPRK-U.S. relationsthe State Department is instead bent on bringing the DPRK-U.S. relations back to the status of last year which was marked by exchanges of fire." KCNA: "U.S. is resorting to anti-DPRK human rights plot in such a way that it carries decapture provocation by adding high-ranking government officials ofDPRK, a sovereign state, to its unilateral sanctions list, while taking issue with the non-existent 'human rights issue'." KCNA: "The U.S. high-ranking politicians including the secretary of state have almost every day slandered the DPRK out of sheer malice, and the State Department and the Treasury Department have taken anti-DPRK sanctions measuresby fabricating pretexts of all hues." 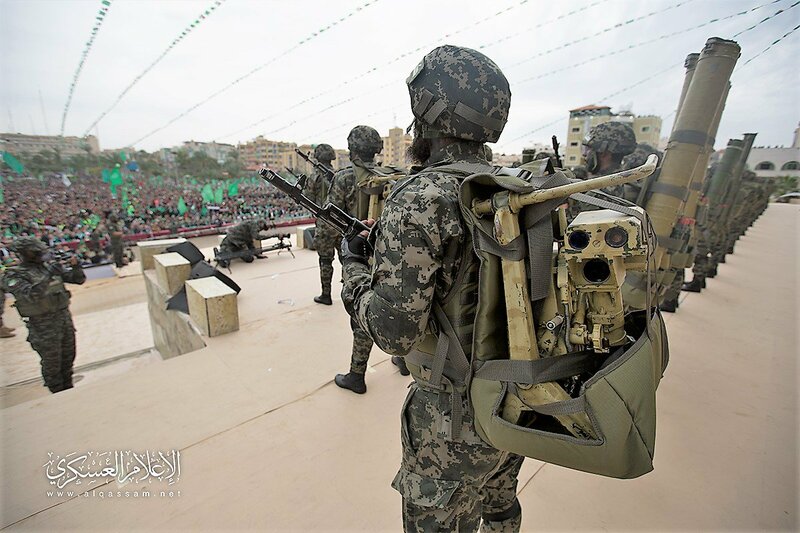 North Korean Bulsae-2 ATGM (9K 11 Fagot) at the Hamas ceremony in Gaza, today.